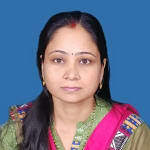 Dr. (Mrs.) Archana Rani is a renowned Dentist in Hanuman Nagar, Patna. She has over 12 years of experience as a Dentist. She has done B D S . You can consult Dr. (Mrs.) Archana Rani at Magadh Oro Dental & Orthodontic Clinic in Hanuman Nagar, Patna. She has received 11 excellent feedbacks. Don’t wait in a queue, book an instant appointment online with Dr. (Mrs.) Archana Rani on Lybrate.com. Find numerous Dentists in India from the comfort of your home on Lybrate.com. You will find Dentists with more than 41 years of experience on Lybrate.com. We will help you find the best Dentists online in Patna. View the profile of medical specialists and their reviews from other patients to make an informed decision. Dr. archana rani is one of the best dentist i have seen. she is very knowledgeble & explain the procedure to her patient carefully. guided us through every step of rct procedure.i am thankfull to dr. archana rani for my rct & scaliiing done , & heighly recommeds her . Dr Archana rani & Dr Abhishek Kumar are one of the best doctors I have seen . My first implant placed by dr. Abhishek kumar & prosthesis done by dr. Archana rani. Dr archana rani is one of the best dentist i have seen. She explain evey step of procedure to her patients & discuss eatch & every alternative of treatments. Dr. Archana rani is one of the best dentist. She knows how to manege child going fot dental treatment. Her work is very good. she done her Job nicely. She is very knowledgeable doctor. And very good behaviour with her patients. She is expert to manege child going for dental treatment. Have got done RCT by dr archana rani in one visit protaper rotary technique. FulLynn satisfied. Dr. Archana Rani is one of the best dentist I have seen. Got Orthodontic treatment done with invisible braces by Dr archana Rani. Satisfied & recommend Dr archana Rani & Magadh Oro dental & Orthodontic Clinic. Hi, I have found a cavity in centre of my lower second premolar. I am eight years old. What is the treatment. Most probably it is milk tooth, because premolar does not erupt at 8 year. Visit a dentist nearby you, you may go for filling of the tooth. My lower front teeth are shaking. It seems that tartar is building on them. Someone told me that professional cleaning of teeth make them loose and shaky. I am confused now. Also I am having an overbite, but I do not want to fix it. Is there any problem in the future if I do not fix my overbite? How to fix those shaking lower front teeth? Please tell me. You go for scaling first, because of accumulation of tarter only your lower teeth become mobile, to treat that you may go bone grafting. And overbite can be treated by orthodontic treatment with braces. Him, I have TMj how to get rid easily. I have been experiencing this from long time any advice would really be appreciated. You mean you have pian in TMJ? Do not eat hard thing, take soft thing only. Do not try to open your mouth wide, support your lower jaw with your hand while opening your mouth. You can apply hot wet cotton with warm water over TMJ area. I have pain and I guess cavity in my teeth will it hurt filling cavity by dentist? No it is totally painless procedure. Get it filled as soon as possible otherwise you have to go for rct. My daughter is 7 years old her one milk teeth inside upper side have carries and broken. Only root present. Is it necessary to extract or it will normally out in course of new teeth. If this milk teeth is upper central incisors, then it has to removed, because at the age of 6-7 year permanent central incisors erupts, & if root of milk tooth is not removed permanent incisors will erupt at abnormal places.